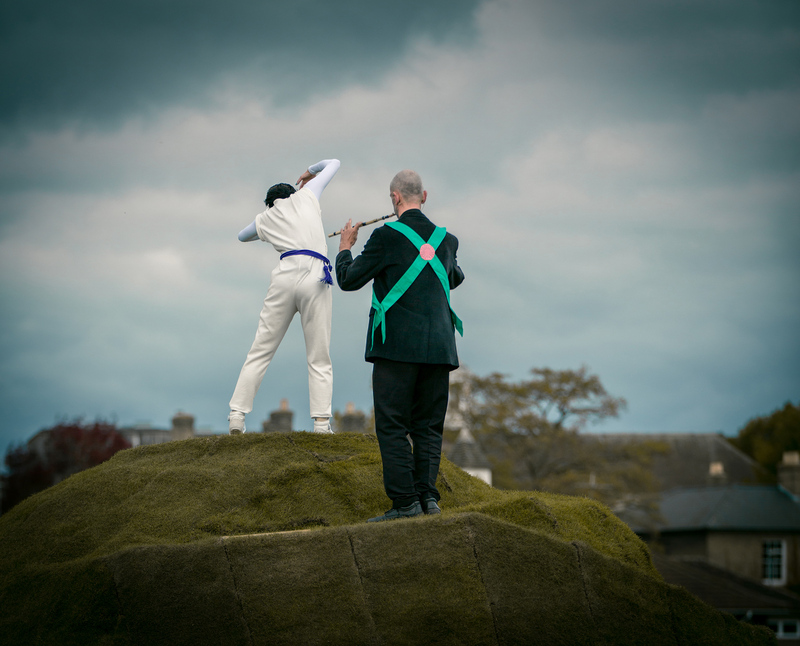 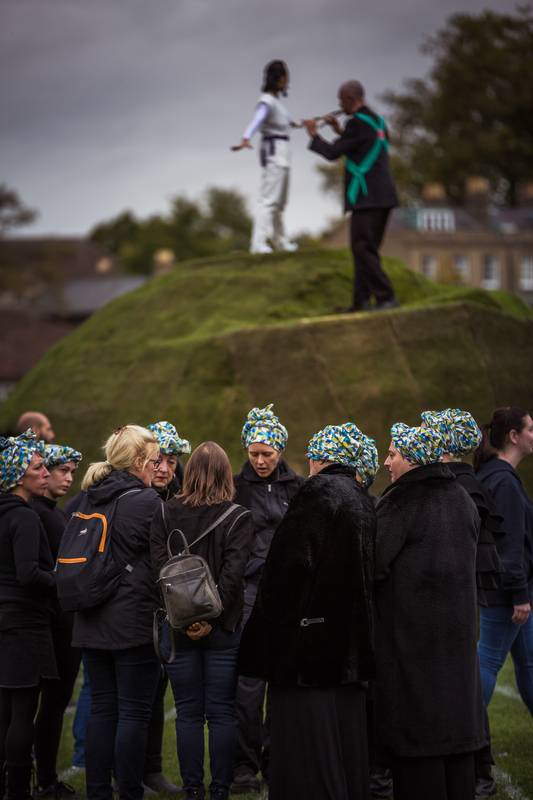 HUNCH is a large-scale installation and performance through which the future predictions of local residents are shared and debated. 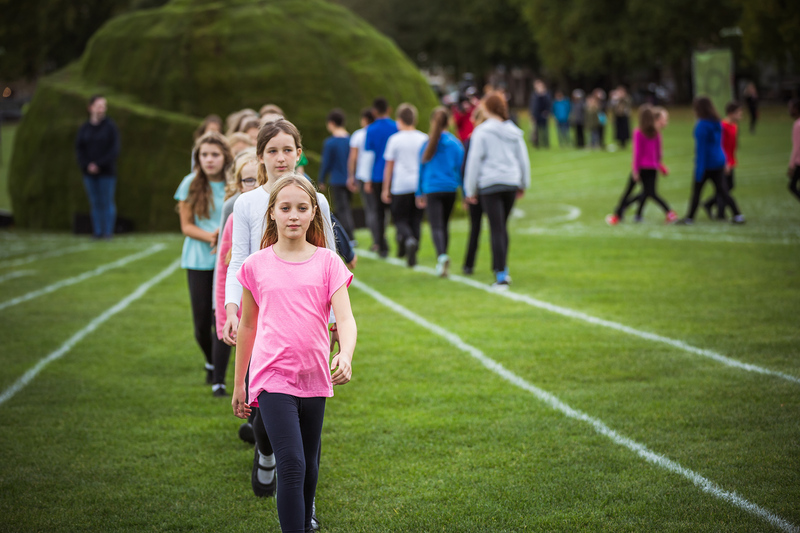 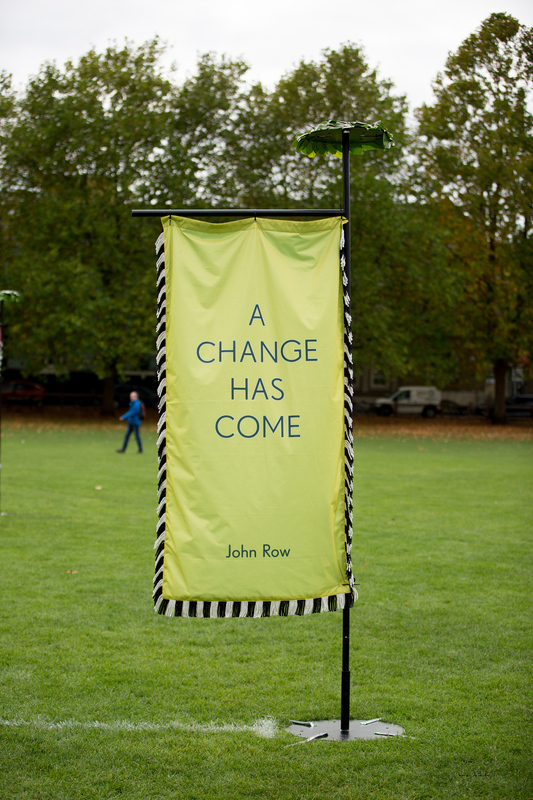 Commissioned by UNIVERSITY ARMS, CAMBRIDGE, for Parker’s Piece – a parkland in the city center of Cambridge, UK, the project traces a history of local prophesy and future thinking from the Roman era to the present day. 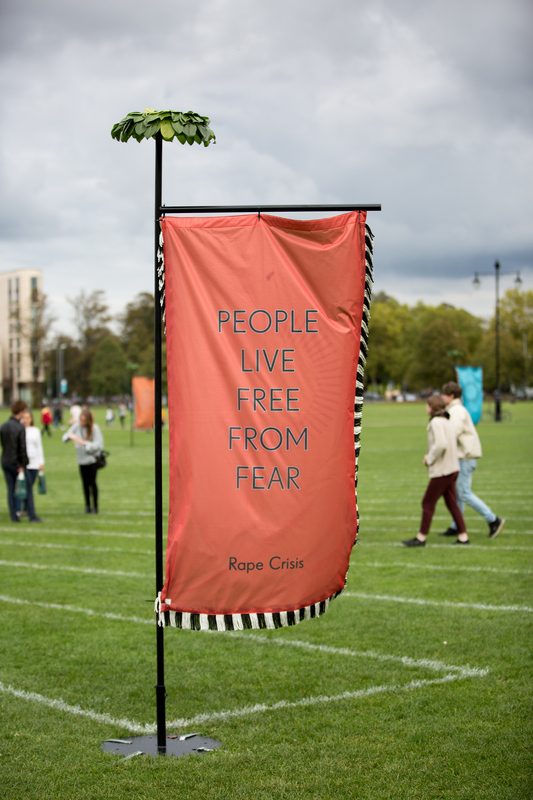 Developed through a programme of public events exploring the history of Parker’s Piece and its location in Cambridge the project involved thousands of local residents who were invited to contribute their ideas about the future based on things they have a hunch might happen but cannot yet prove. 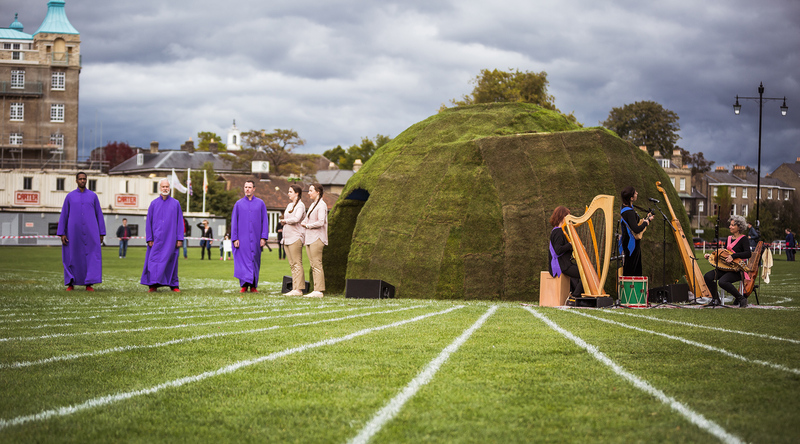 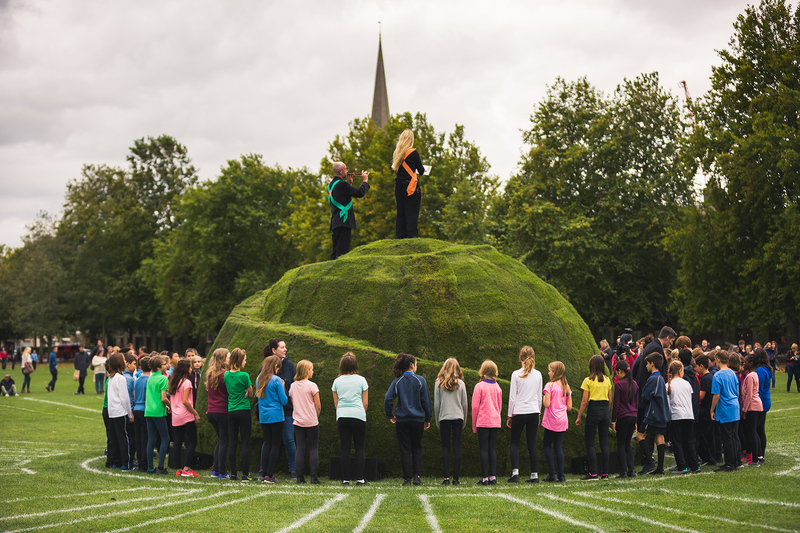 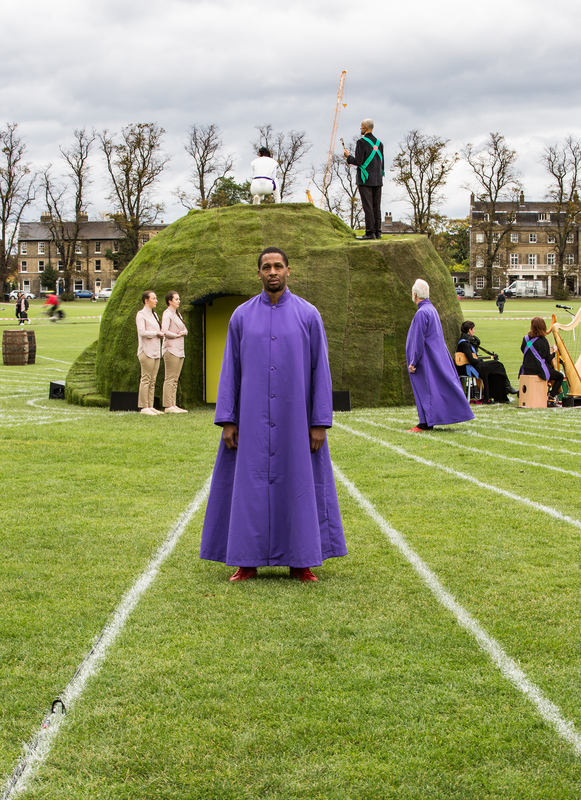 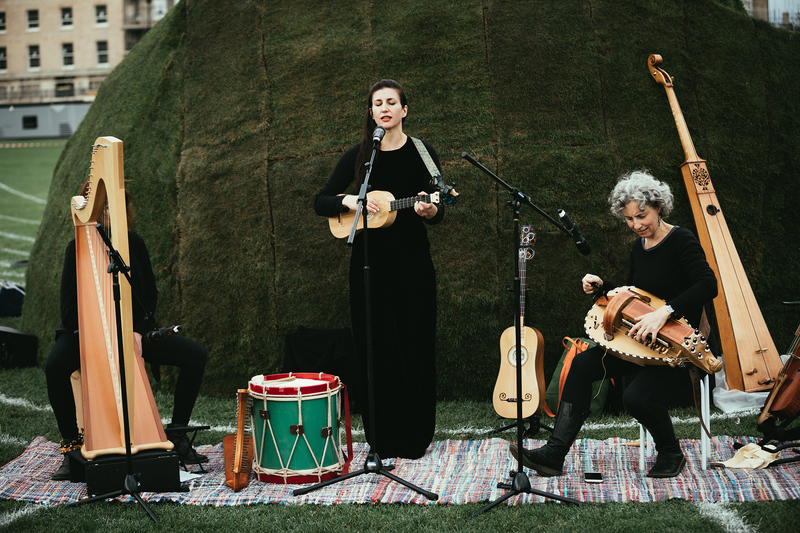 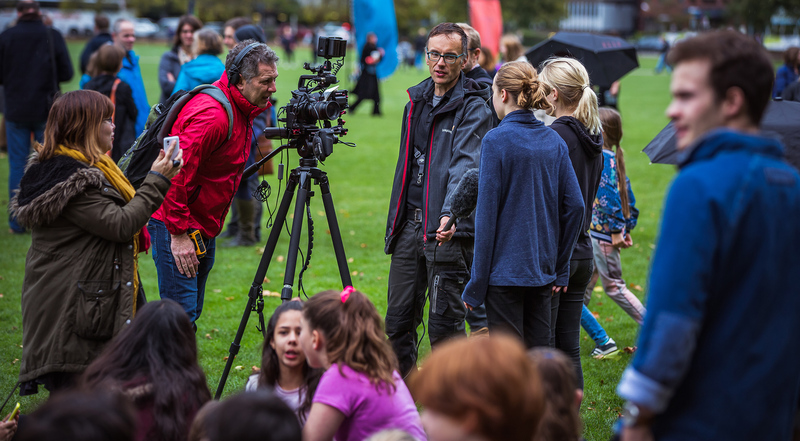 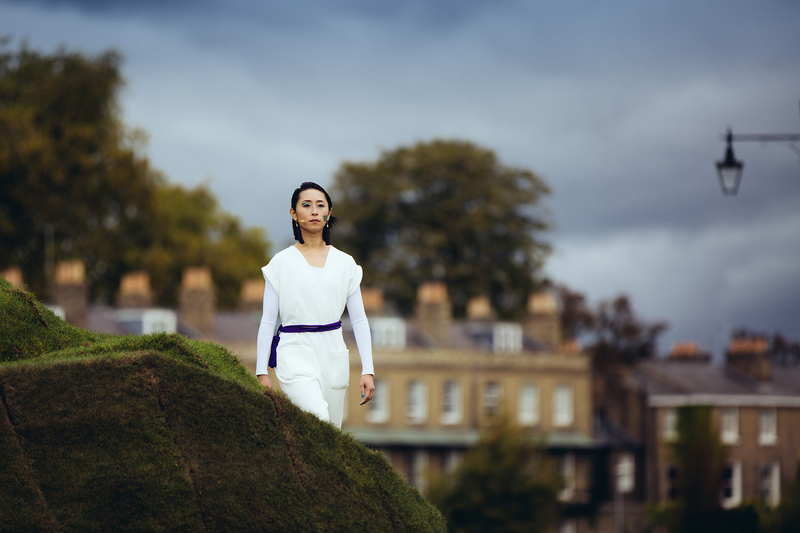 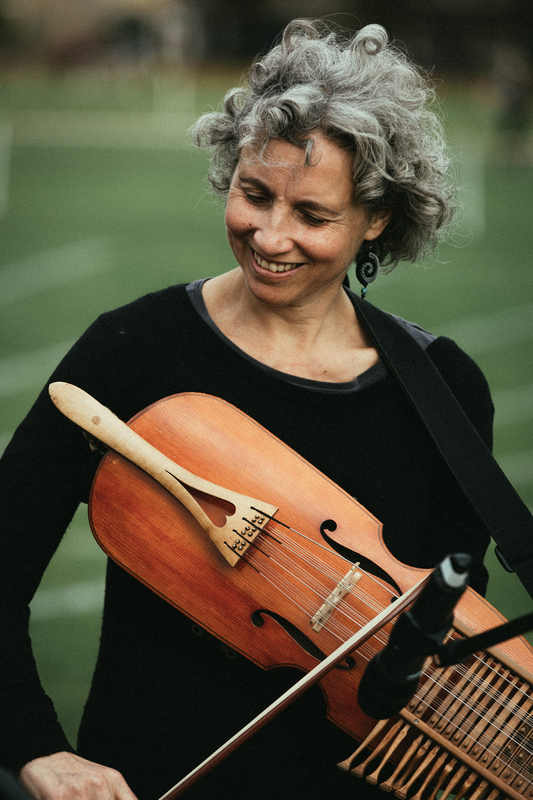 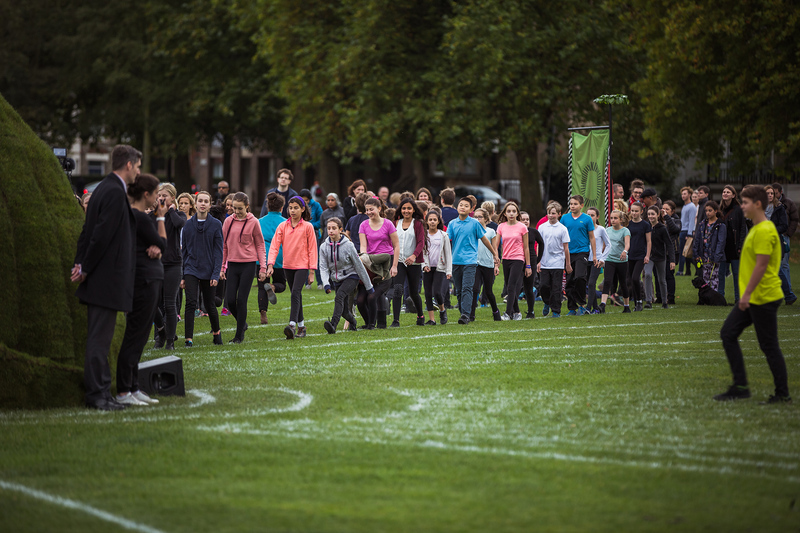 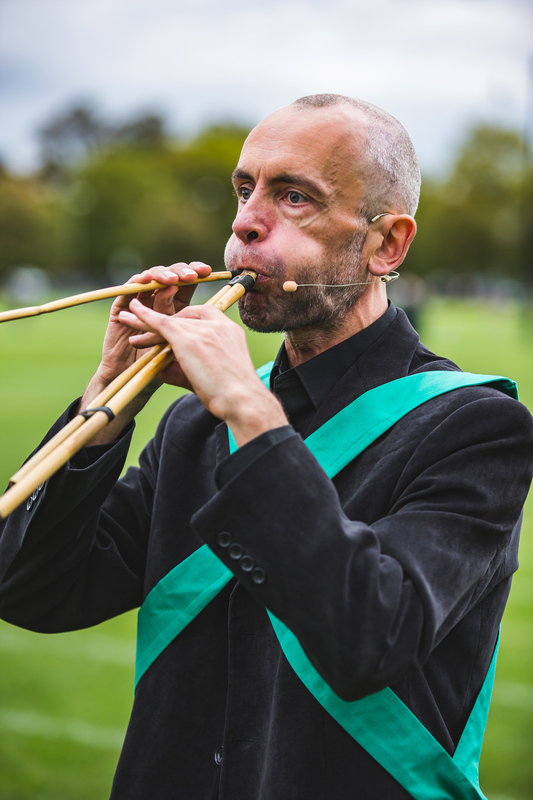 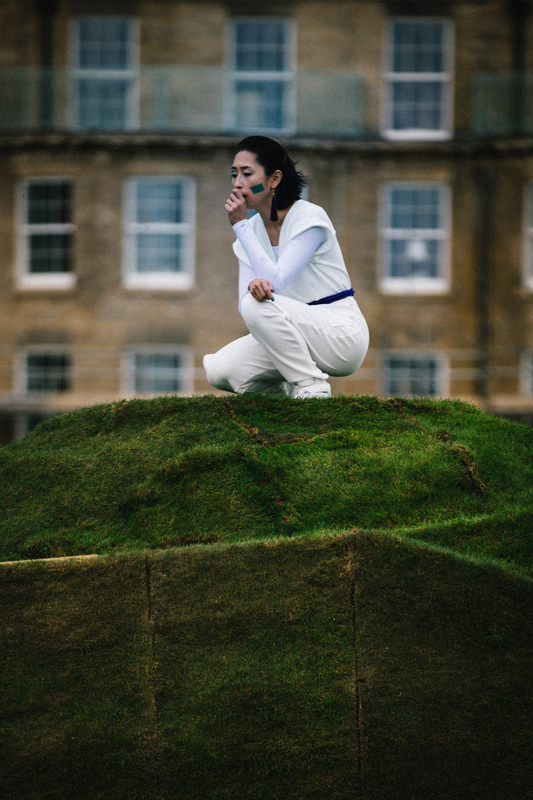 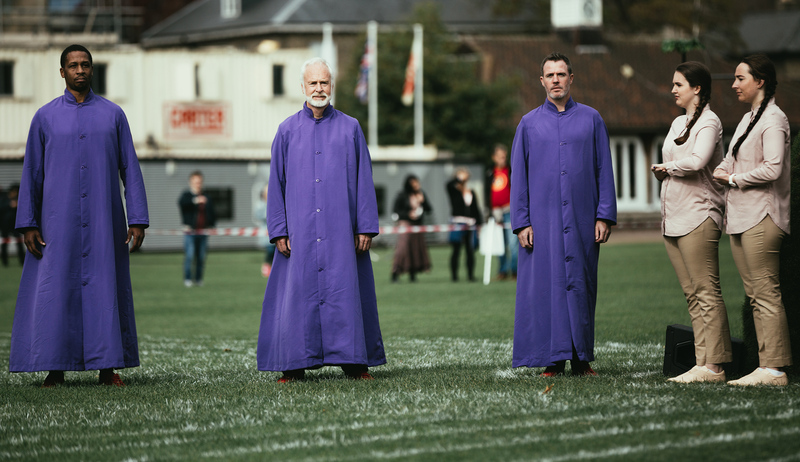 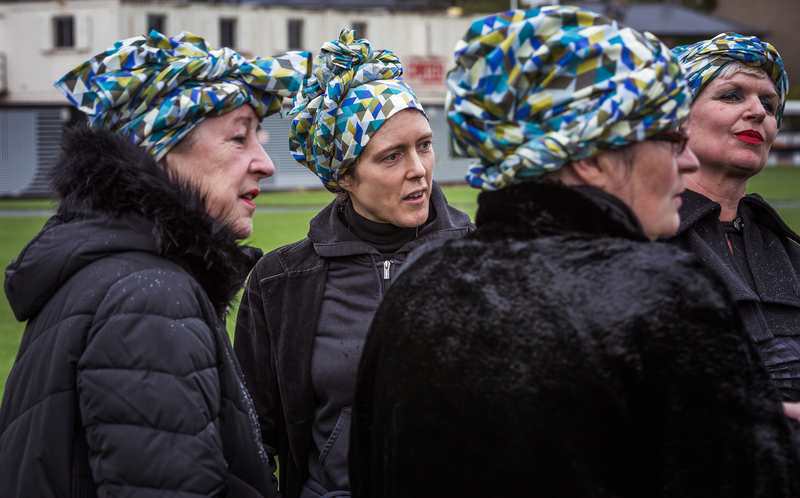 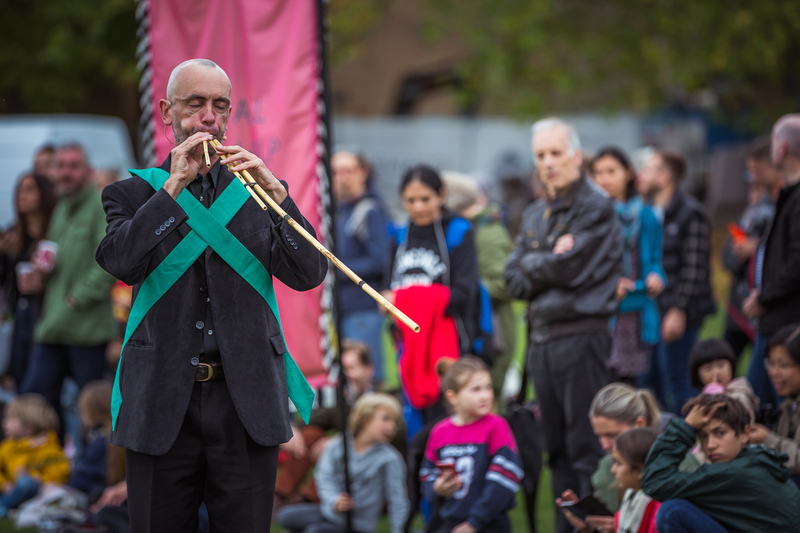 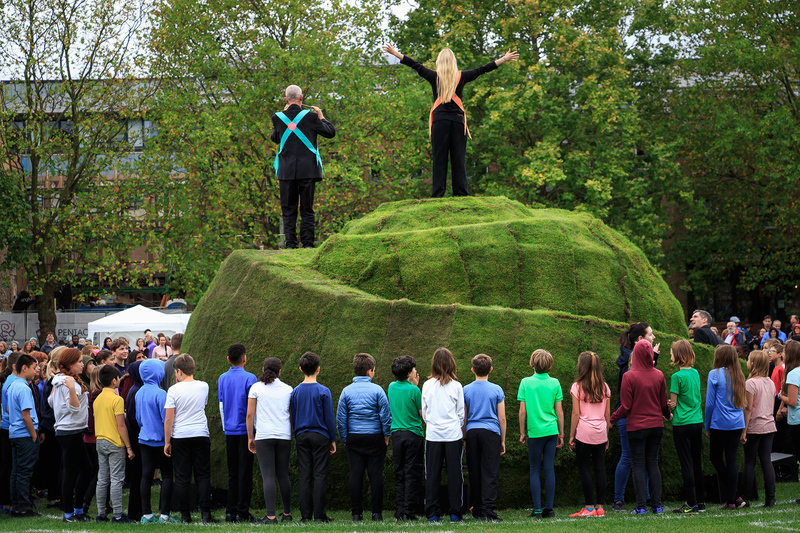 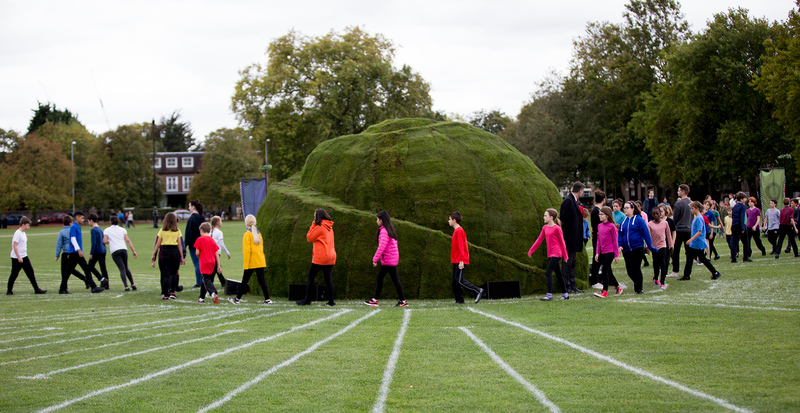 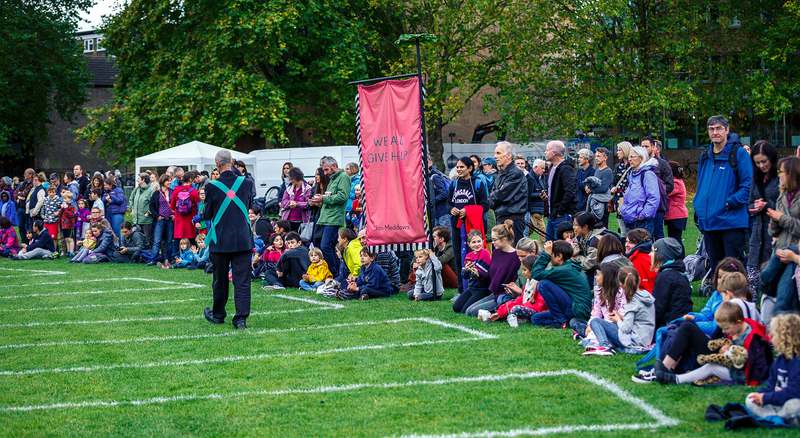 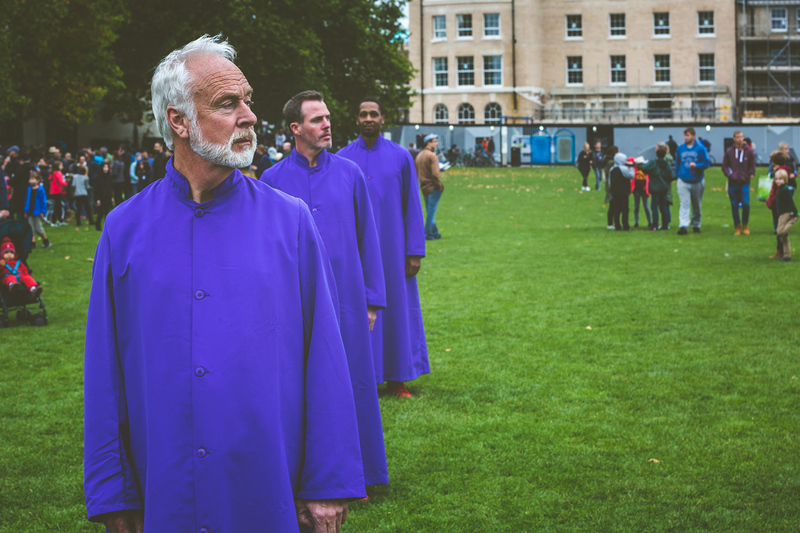 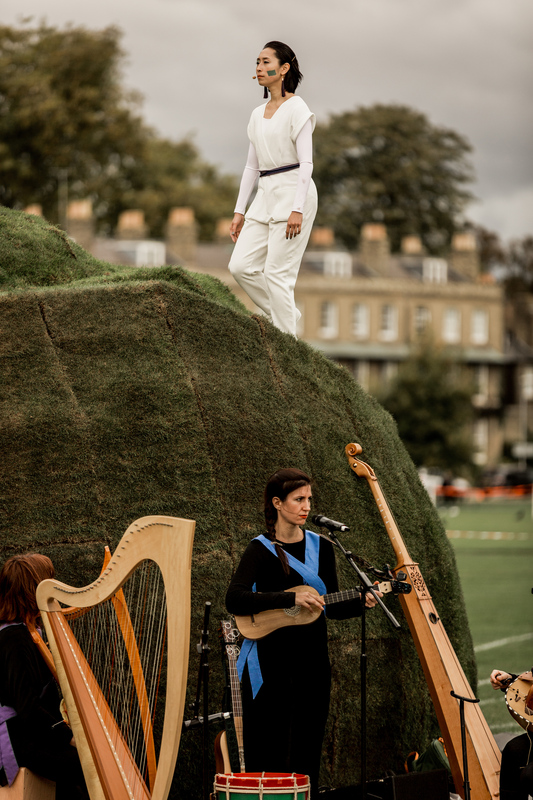 The work culminated in a large-scale oracle performance on 7thOctober 2017, choreographed around the floor plans of the historic feasts held on Parker’s Piece. 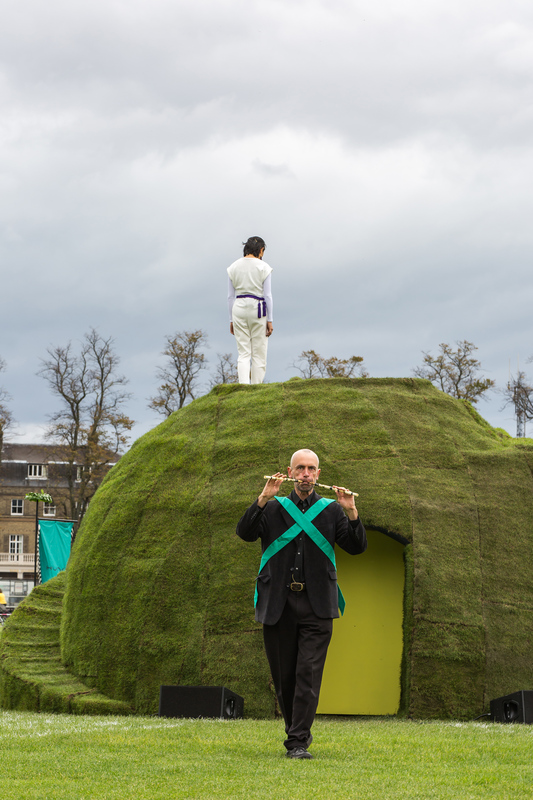 A special artist edition publication will be published in 2018 to document the research, making and realization of the project.